Tax return preparation is a significant process in every business tax year. It is both a necessary evil and critical assemblage of documentation and information that is stored and transmitted to the various governmental agencies. Proper filing of the multitude of forms to alleviate notices and provide assurance that you are minimizing income taxes is valuable. We are here to save you tax dollars and minimize the task. Tax return compliance is the backbone of what we do and have done thousands and thousands of times over our career. We can efficiently compile your information and electronically store the data so each year is put to rest. Our knowledge, training, and education will result in tax planning and advice that is top quality. Admittedly this experience does not result in having every answer on the tip of our tongue. More importantly we have developed the skill of how to read, interpret and understand the law and also how to research and find the applicable information. This is all about providing you with the most accurate and relevant information not about how it was attained. In conjunction with many years of focus in real estate we have experience preparing analysis to properly identify and segregate the assets of a building/project that could be classified as accelerated depreciable property for Federal Income Tax purposes. Such segregation is intended to maximize the present value of depreciation deductions. Depending on the size of the project the scope of these engagements can be catered to provide maximum cost benefit. The backbone of so many businesses is accurate information. Having efficient and organized accounting information allows owners to focus on the business and alleviate worrying about the back office. Let us help you develop proper internal procedures to maintain your records in a structured manner. Let us help to review your financial statements or perform services as a CFO or controller. We assist clients in choosing accounting software and the initial set up (note our preferred accounting program is QuickBooks). However, we do not perform bookkeeping services and prefer to maintain relationships with businesses that specialize in this service. We have several quality bookkeepers to suggest. Structuring the purchase or sale of a business properly (assets, stock, covenants not to compete etc.) 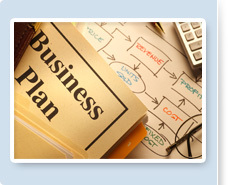 is a critical step in the process of buying or selling a business. Our competent staff has experience to guide you through the acquisition/disposition process by addressing such issues as cash flow analysis and tax considerations.